This is an oval Triple A Recommended Motor Court porcelain sign. This particular Triple A sign is predominantly navy with a white center and red outlines. 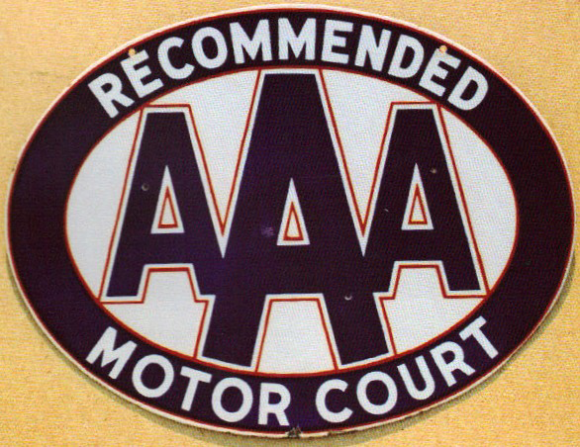 This sign reads, “AAA Recommended Motor Court”.